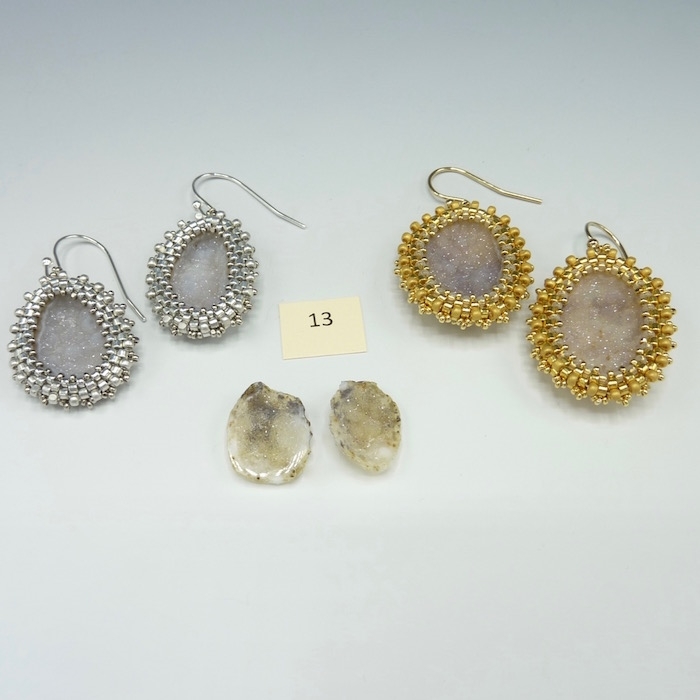 This kit is for a pair of beautiful geode earrings, made using precious metal plated beads with either gold filled or sterling silver ear wires. Each kit contains it's own unique sliced geode pair (see photo with actual geode set shown below the sample earrings). Please be sure to select your choice of color (gold or silver) in the dropdown menu.